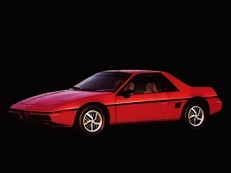 Correct Wheel Sizes, PCD, Offset, Rims and Tire specs for Pontiac Fiero series. On 88, if front offset is 37 for 15x6, how can can offset be 40 for 15x7? 1 inch is 22.x mm so figure 1/2 inch each way so maybe 48 offset? Am I wrong?